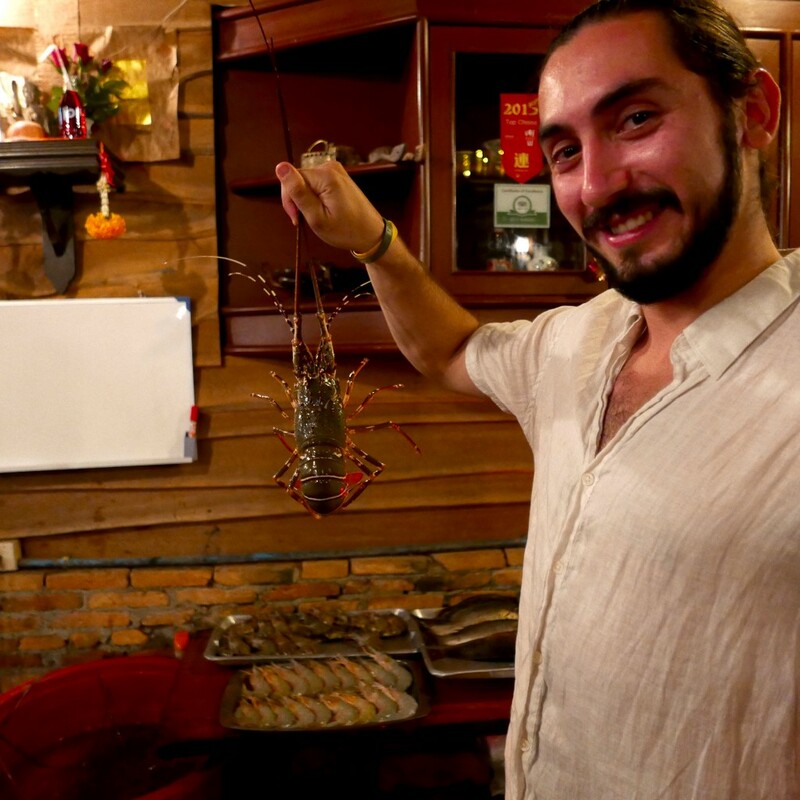 Learning the unique flavors and customs of the different cultures of the world is my favorite thing to do, and Thailand was at the top of my list of places to go, as everyone I knew who had been there raved about the food. I’m a huge seafood lover, so checking out the southern part of the country was a must, an area surrounded by ocean, beautiful islands, and fresh fish. One day while hanging on the beach in Koh Lanta, we met a super friendly fisherman who offered to take us out on his boat. Always psyched for an adventure, we jumped into his Long-tail, a simple wooden boat, no sail or covering, just an old car engine for power. In no time we were cruising around beautiful limestone islands jutting straight up out of the crystalline waters. I was mesmerized by how completely insane the scenery was. At one point our guide pulled up alongside one of these monoliths and began chipping away at the rock. I thought, “what is he doing?.” A few seconds later he popped open an oyster and slurped it down without missing a beat of his story. 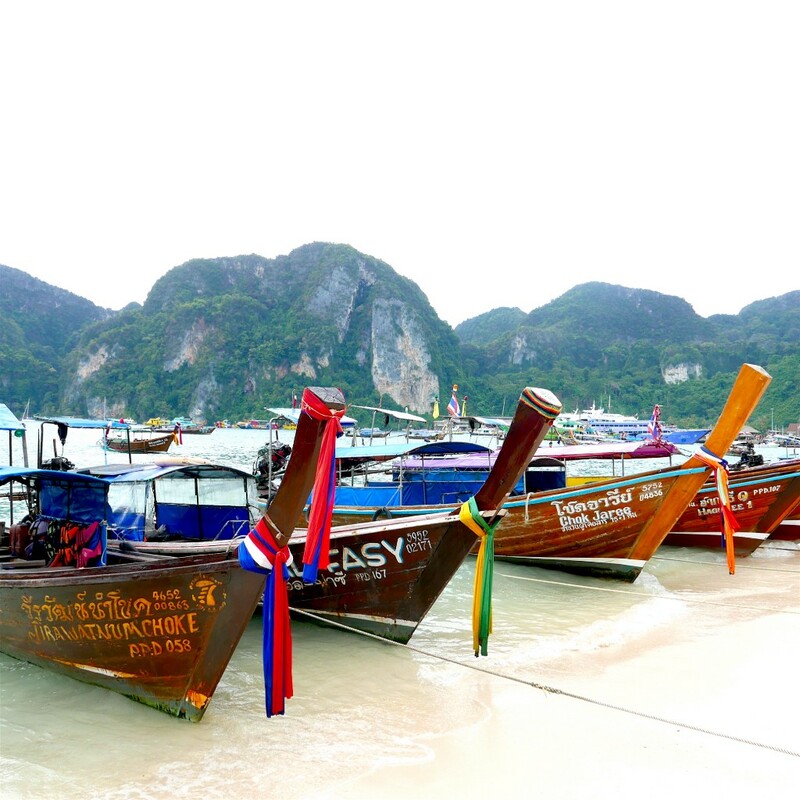 Each night he meets with a handful of men and they set off deep into the Andaman sea with only the stars to guide them. They fish in all kinds of weather, crazy winds, giant waves, and torrential rains. When they return, they sell their catch to restaurants first, then hand off the rest to family members to sell to markets. I looked down at his weathered boat, completely awed that these rickety slats of wood were all that stood between he and the unpredictable ocean. He went on to tell me that pretty much every person in the village is involved in the daily catch, whether as a fisherman, a fishmonger, a merchant, chef or waiter. My appreciation for their hard work and way of life came full circle while eating at a restaurant the very next day. All of a sudden 4 guys with buckets filled with fish, lobster, shrimp and crab walked past our table to the kitchen door. When the server came to take our order, she led us to the back and asked us to choose our fish. My gratitude of the amazingly fresh fish I experienced on this trip was greatly deepened by this experience. Longtail Sunset is a homage to these fishermen, featuring a tangy and spicy seafood seasoning with tamarind powder, ginger, coconut, lemongrass and Thai chilies. Long-tail Sunset Story was originally published in Spice Tribe on Medium, where people are continuing the conversation by highlighting and responding to this story.